View More In Bathroom Fixture Accessories. Looking to update a kitchen or bathroom? 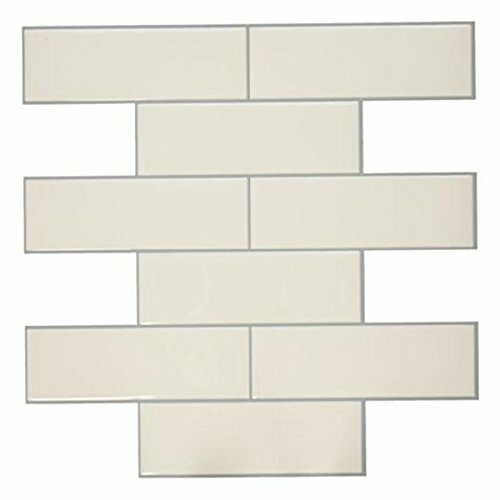 Makeover your walls and create a designer backsplash in no time with these Peel & Stick Classic Subway Stick TILES from RoomMates Decor. Fast, fun and affordable, Stick TILES look and feel like genuine tiles and application could not be easier. Just peel and stick to any flat surface. No need for cement or grout. Stick TILES are made of a flexible epoxy material that is easy to cut (with a utility knife or scissors) so you can work around tricky spots, spaces and corners. Installing Stick Tiles reduces your installation time by over half. Can be applied over existing glass or ceramic tiles. If you have any questions about this product by RoomMates, contact us by completing and submitting the form below. If you are looking for a specif part number, please include it with your message.